A very good month saw Jomo Cosmos reach the Champions League Final where we will meet Zamalek. We are also through to the Telkom Knockout Cup Quarter Final where we will get a chance to repay the Orlando Pirates following our loss in the MTN 8 Cup semi-final. Without wanting to seem disingenuous, our opponents to date in the league have not been the strongest. SuperSport United are in a different class and have to be respected. We are slight favourites here, although it is a near run thing. Lavet was back on form tonight as he scored a marvellous hat-trick. We conceded goals in first 3 minutes of both halves. Won the next 42 mins of each half though. We played better than they did for most of the match, and we were rewarded on the scoreboard. Another club record falls to us. We are playing really well here. Amazulu is another game I would really expect to win. However with the champions league match 4 days afterwards I am going to be forced to field a slightly weaker side for this game. Very much a second string side here, with us having to rest our first team ahead of the Champions League semi-final. Despite the weakened squad we are still short odds to win the game. Ngobeni banged in another two goals for us in a 3-0 win. Young Twala scored his first goal for the club. I was disappointed in Motaung getting sent off for two yellow cards in 4 minutes. For fielding a second string side I am happy with how we played. The biggest game of the season for us so far. A good win will give us a huge advantage in the tie. They have really struggled against the cross so far. We have gone for the strongest line-up we can, however we have 8 of our starting team on yellow card warnings. Hmmm… Somehow I missed Nogi off my team sheet! and off the bench too! Oops! We are very short odds to win this game. 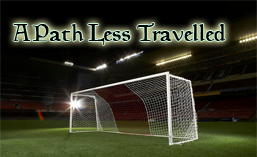 Ideally we want to put a truckload of goals in to make leg two easier. We didn’t play well in the first half and I read the team the riot act. Second half we were much better, and scored four away goals. We absolutely dominated the game, especially in the second half. So much so that I feel I can field a weak side in leg 2 to preserve those players with yellow card worries. This is a welcome return. Makaringe has been a first team regular for three seasons and will fill out the hole in midfield. Now this is a really good offer. Bate are the most successful club in Belarus, and offer a great springboard into European football. I believe the season runs from January to December. With that in mind I am trying to delay them until after the Champions League is decided at mid season. Wow! I got my delay. I think that when they come back with the offer, I will be accepting it. I don’t want to leave Jomo Cosmos but it is an offer which is too goon not to accept. Leg two holds no real fears for me. With four away goals, I am confident in my teams ability to get the job done. Even a narrow loss will not hurt our progression. I have selected no player who has a yellow card. Young Cele is getting his first start for us in the biggest game of the season! I would expect them to look to counter attack based upon their formation. The team is still not bad though, so baring a red card to a key player, and a disastrous game from the selected team, we are looking good. In the end it was no contest. Two early goals by Ngobeni and three assists from Majola were sufficient for us to win 8-1 on aggregate. Another storming performance for the team, including a whopping 91% pass rate. Three days after the semi-final we come up against Wits in the Telkom Knockout Cup. This is the last trophy we have yet to win and it will be good to get there this time. Due to the heavy rotation we are able to field a very good side in this match. Young Mtheban gets to make his début in goal. Once again we are listed as favourites, although not as heavily as before. We just seem to be scoring for fun. We have much the same team as last season however it is like the boys have decided that they all want to be top scorers! We were not as dominant, but clinical in front of goal. On a side note, this game was my 100th victory as a manager! We are wracking the records up this season. No sooner have we finished the last match then we have the next game against Wits. We opt for a slightly depleted side due to having the first leg of the Champions League final four days later. They have almost the same side on the park so it will be tight. After the last match the odds on us have shortened even more. I am quietly confident in our ability. We went to sleep in this game, and after an early goal we allowed two quick replies to trail at the half. We fought back in the second half to go ahead only to concede immediately from the kick-off! We played poorly in the first half, however we showed great resilience to come back into the game. Sadly we couldn’t close it out, and in reflection a draw was a fair result. Five wins and a draw is a very good return for us. I am happy with this. Second with a game in hand. Luckily Kaizer Chiefs also dropped points. Orlando Pirates! We get an immediate chance for revenge! Bring it on! Next episode promises to be a bumper one. We have a two legged Champions League final, either side of a Telkom Knockout Quarter Final. Tune in tomorrow to see how we get on! This entry was posted in 2018, A Path Less Travelled, Jomo Cosmos, Season 2018/19 and tagged Amazulu, ASEC Mimosas, Bidvest Wits, SuperSport United. Bookmark the permalink.